Tired of boring wedding party lineups? So are we! I just love this fun, fabulous photo for so many reasons. 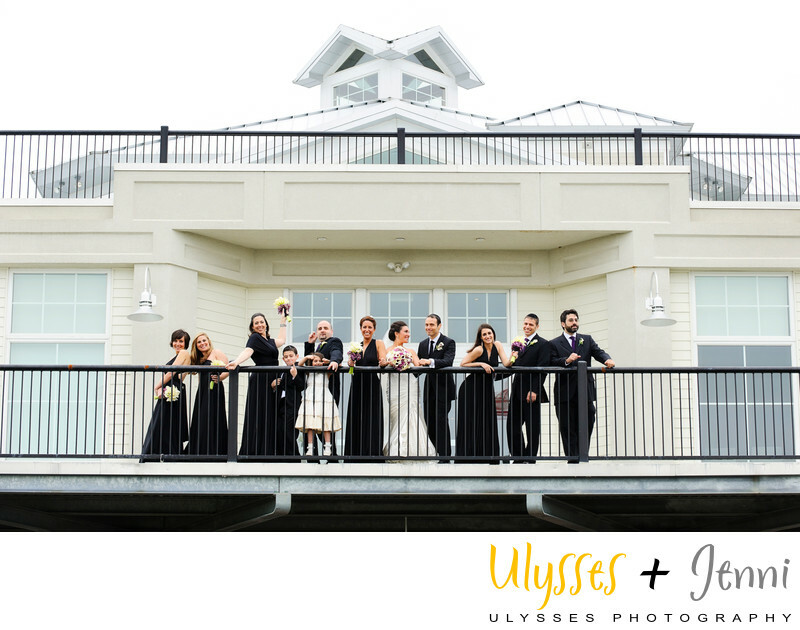 The expressions, the fabulous architecture in black and white that highlights the black bridesmaids dresses, and the mix of poses makes it absolutely perfect for me. Location: 84 Audrey Zapp Drive, Jersey City, NJ 07305. Keywords: Amanda & Aaron (12), Liberty Park (9), Maritime Parc (9), Pnina Tornai (9), Statue of Liberty (15), wedding (528).